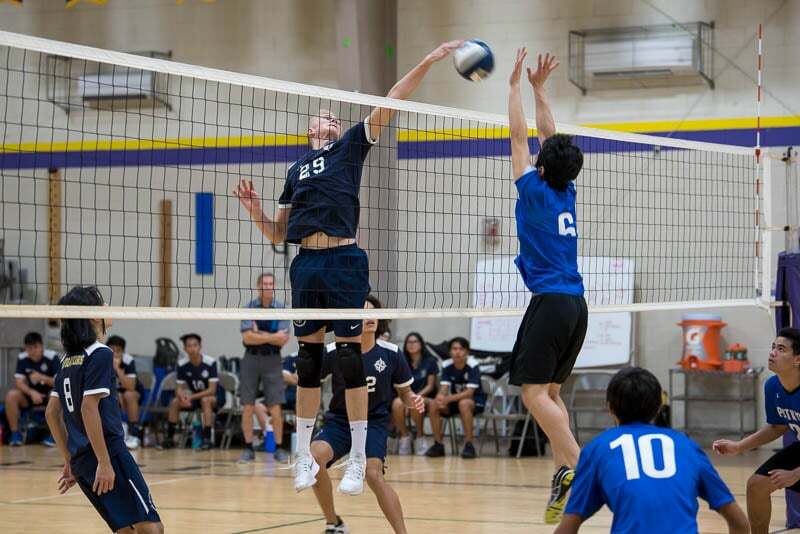 The ISLAND PACIFIC ACADEMY boys’ varsity volleyball team honored their senior players on Thursday, March 28, following their match against Christian Academy. 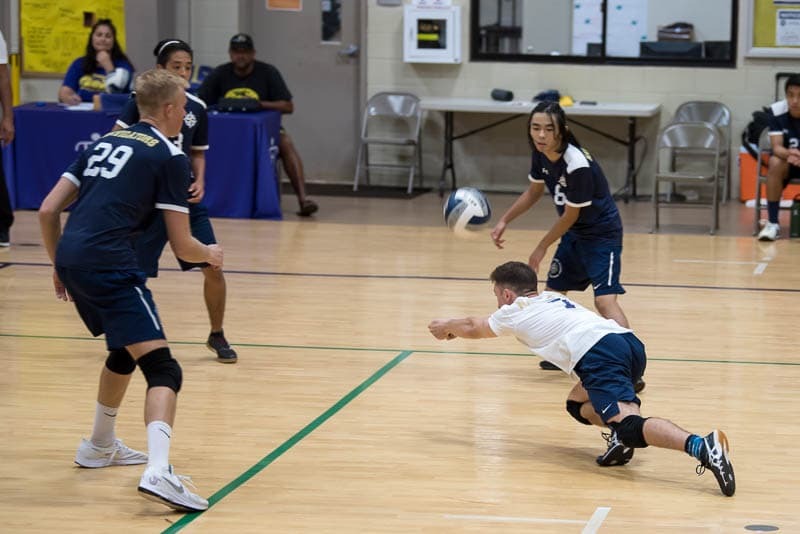 Five seniors played their second to last match of their high school careers in front of a cheering crowd of Navigator fans and family at the Hanalani School gym. 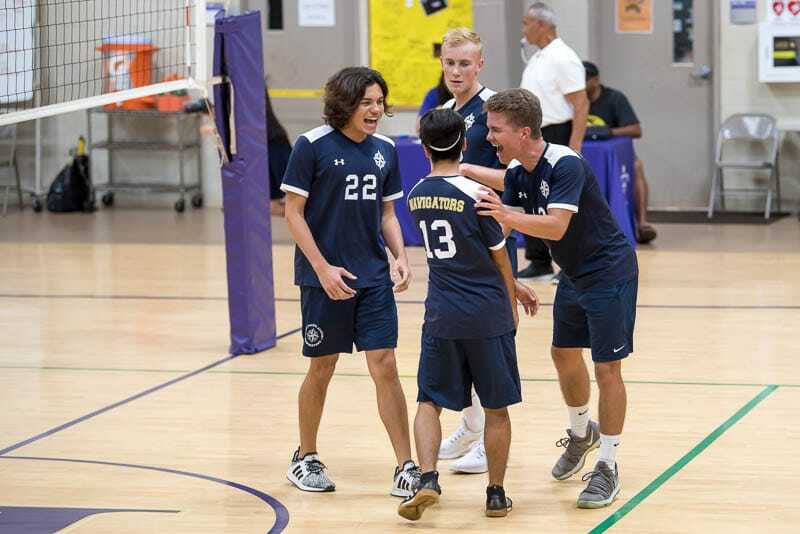 The match up against Christian Academy (CA), their third face-off this season, provided the excitement and thrills worthy of Senior Night. 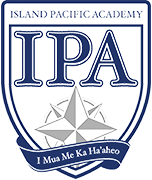 CA went in to the match undefeated and quickly showed their dominance in the first game, taking IPA 25-12. 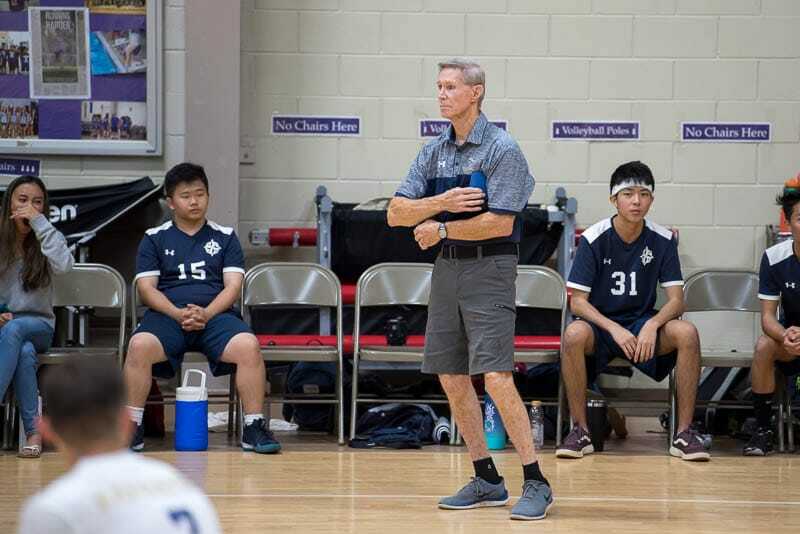 But under the leadership of Coach Stan Vincent, and with the energy the IPA fans behind them, the Navigators fought back to take a close second game at 25-21. 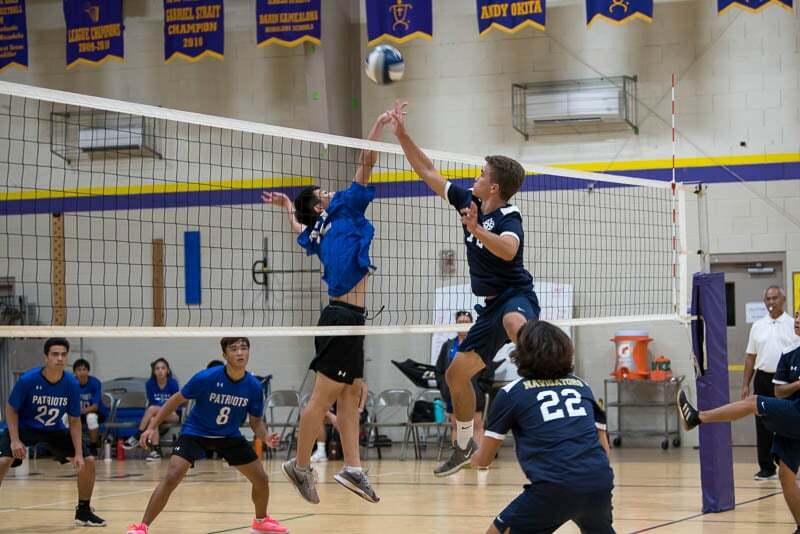 With momentum on their side, they continued their coordinated, aggressive team play to roll over CA 25-15 in the third game. 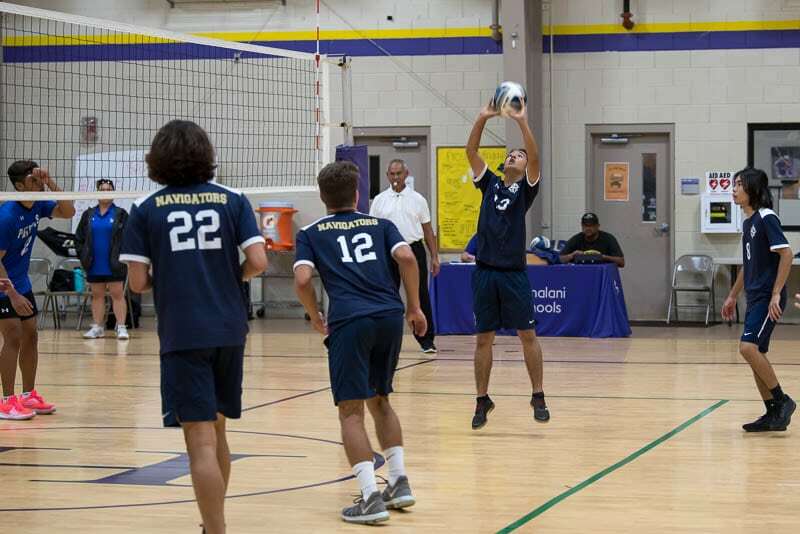 With a best-three-out-of-five format, the Navigators needed one more game to win the match. 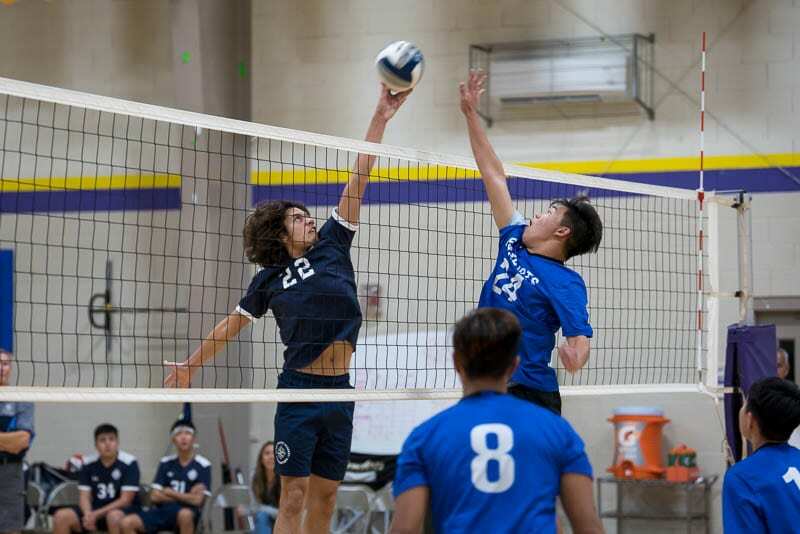 CA was not going to let their undefeated title slip away so easily. 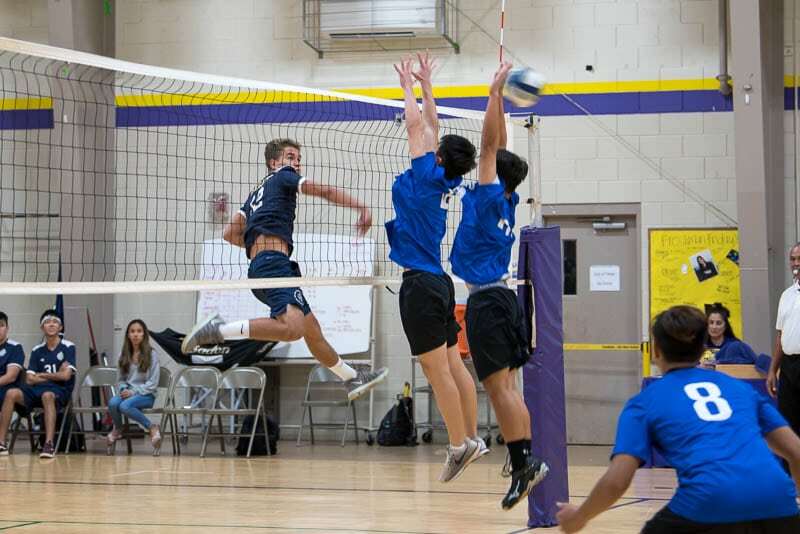 They regrouped and pushed hard to take the fourth game 22-25. 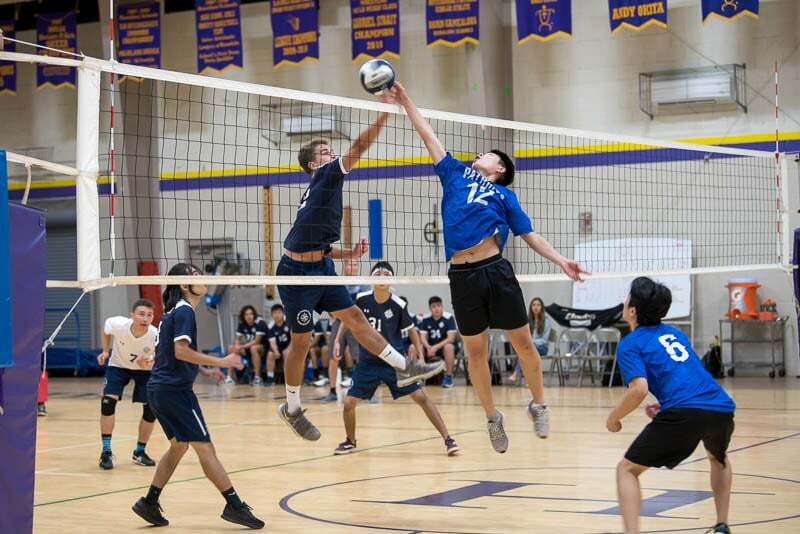 The Navigators came out swinging in the final fifth game and jumped ahead to a 10-1 lead, but some Navigator errors and strong playing by CA quickly erased their lead to a 14-14 tie. 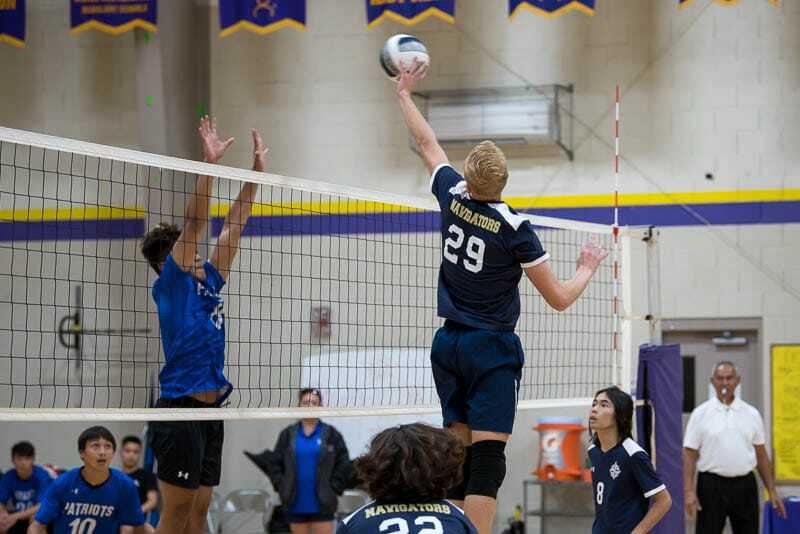 In an exciting end to the match with a key block and kills by IPA senior Steven Cleveland (’19), the Navigators defeated CA 16-14 in the final game. 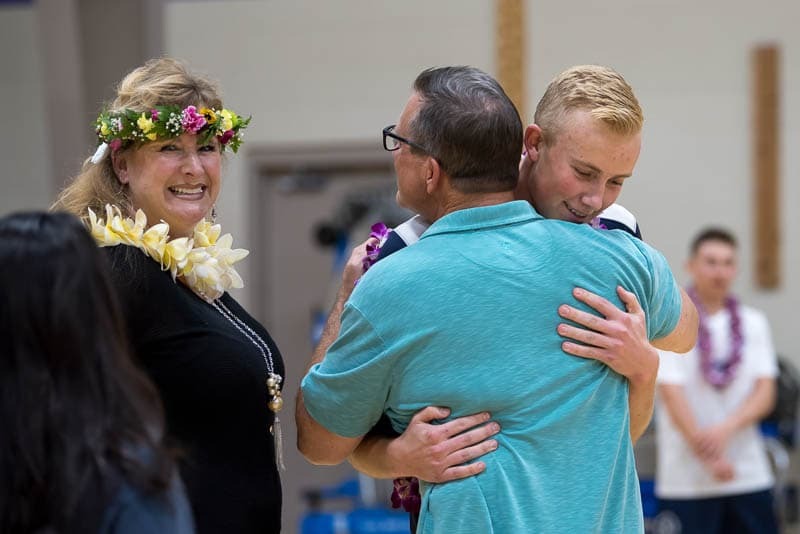 Following the match, seniors Connor Carson, Steven Cleveland, Michael Murakami, Nalu Paz, and Roman Gehrich were honored with lei and gifts from their families and friends. 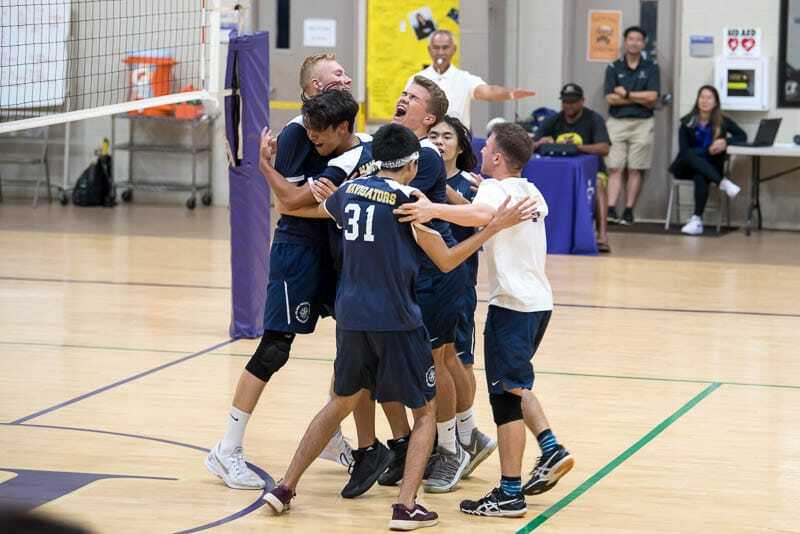 They each got to take their final solo kill at the net, fed by Coach Vincent, and had a chance to express their gratitude to their coach, friends, families, and fans. 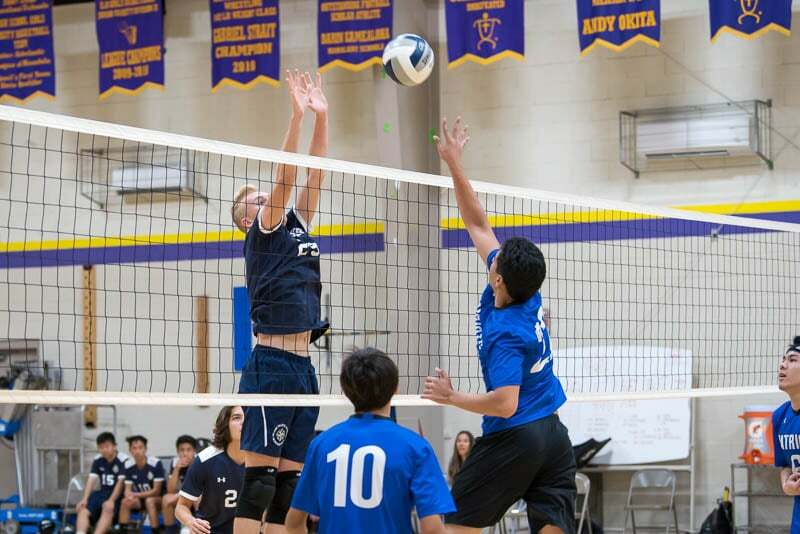 Carson, who plays the position of libero, shared his thoughts on the season. 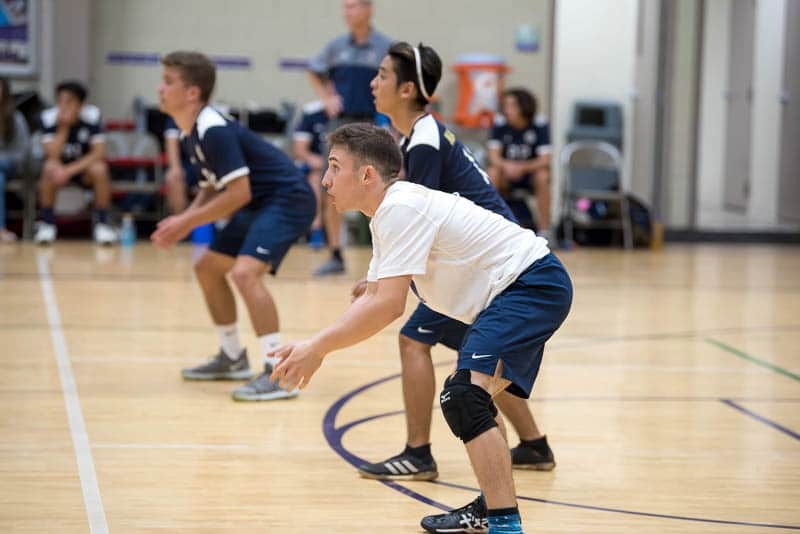 “Co-captaining this team with Steven for our senior year has really made my athletic career at IPA come full circle. 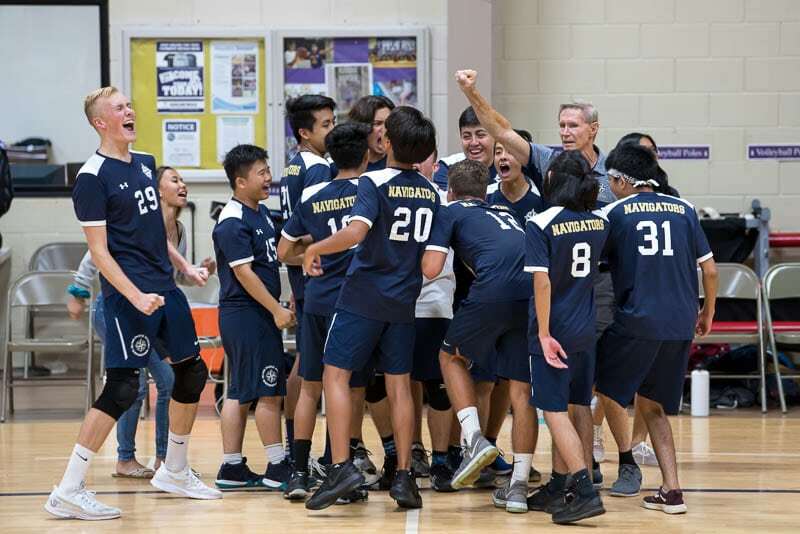 I am so proud and grateful to have been a part of the team this (and every) year, and can’t wait to see the future successes our boysʻ volleyball team will have under Coach Stan,” said Carson. 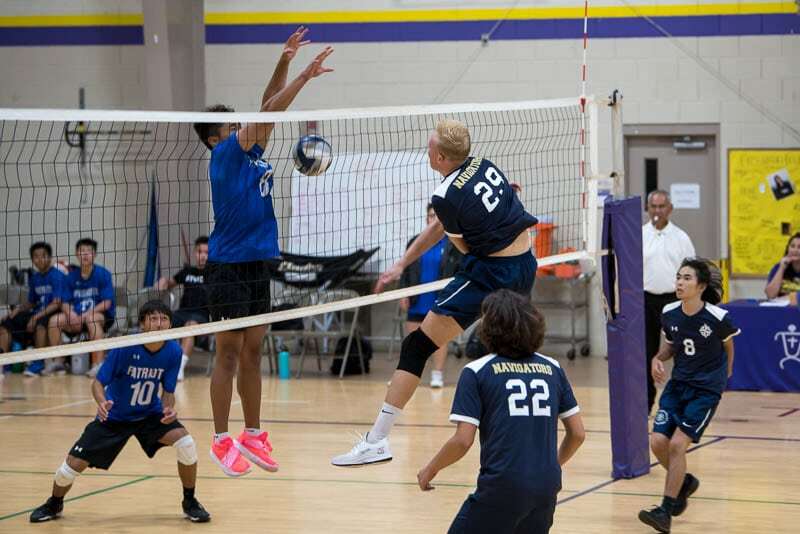 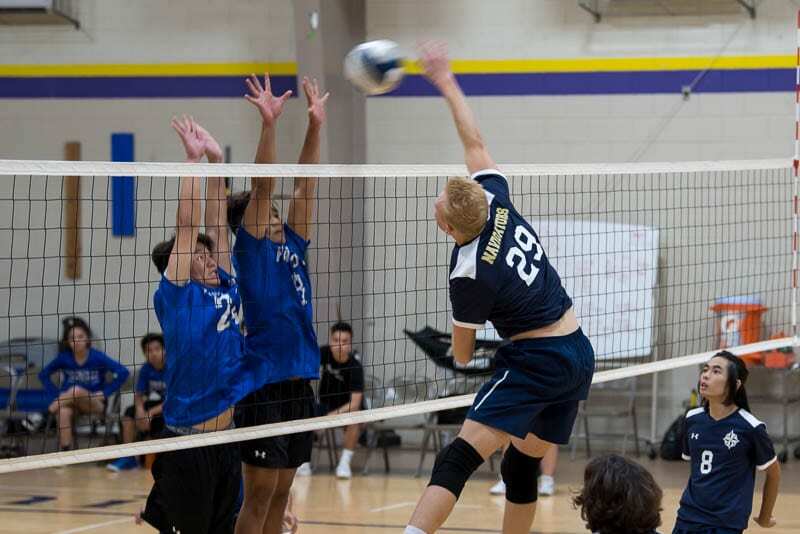 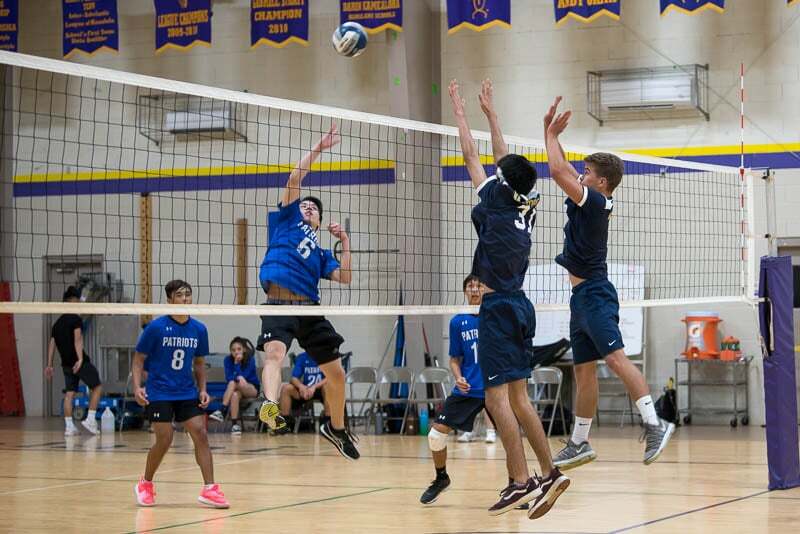 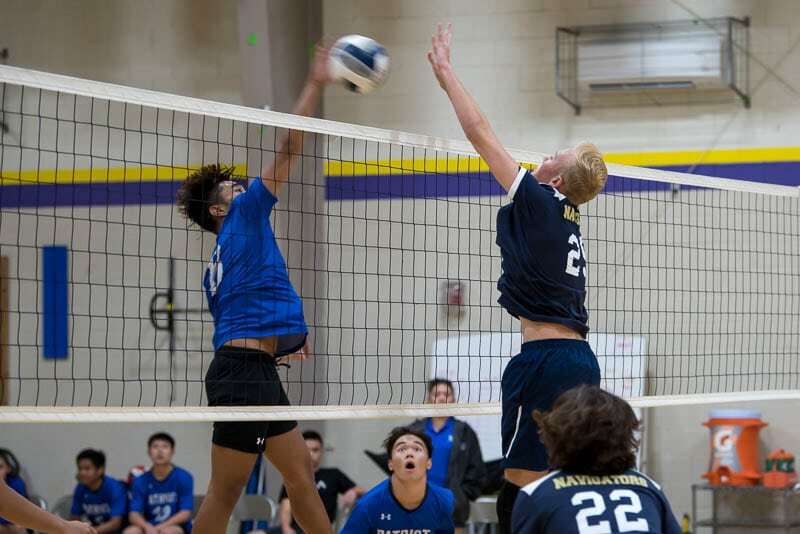 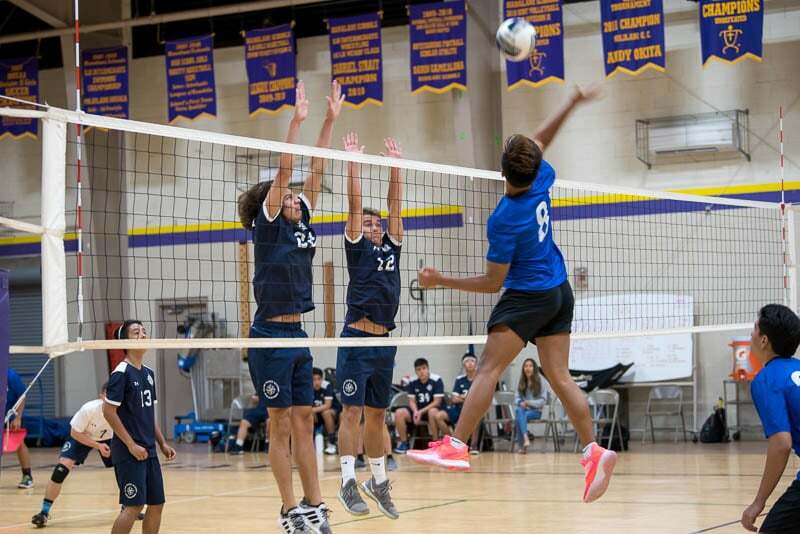 The final boys’ varsity volleyball match of the season is at 6:15 PM on Tuesday, April 4, against Lanakila Baptist School at the Hawaiʻi Mission Academy gym.